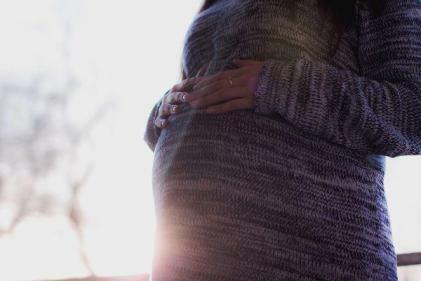 Researchers have found that women who sleep on their backs during the final three months of their pregnancy are at a greater risk of stillbirth. The scientists encouraged women not to sleep on their backs due to the severe risk. The team stated that 130 lives could be saved every year if pregnant women avoided sleeping on their backs. They asked women to sleep on their side rather than on their back, especially during the third trimester. The team believe that sleeping on your back increases the risk of stillbirth just as much as smoking does. The study looked at over 1,000 pregnant women from maternity units around the United Kingdom. It is understood that the risk of stillbirth is higher if a woman sleeps for less than five and a half hours, if she naps throughout the day or if she wakes up in the middle of the night to use the bathroom. 291 women from the study suffered a stillbirth when they were 28 weeks into their pregnancy. The other women involved in the research were still pregnant when the study was carried out. The participants were asked to fill in a questionnaire where they answered questions about their sleeping habits before pregnancy, four weeks into their pregnancy and the night before they completed the questionnaire or before suffering a stillbirth. The study found that pregnant women who sleep on their back are 2:3 times more likely to suffer a stillbirth, compared to women who sleep on their side. The study hopes to educate women about how dangerous sleeping on your back is. They shared that there would be a decrease of three percent in stillbirths if every pregnant woman sleeps on her side during the final few months of pregnancy. Researchers have not discovered how sleeping positions influence the risk of stillbirth, but there is a possibility that it affects the blood flow to the baby. Making minor changes to your sleeping position is a simple but vital step to take. We understand that sleeping when you are heavily pregnant can be challenging at times. Click here for more information on how to get a better night’s sleep when you’re expecting a baby.